Fully protects the back, sides and the edges of the front glass from scratches, dirt and bumps. 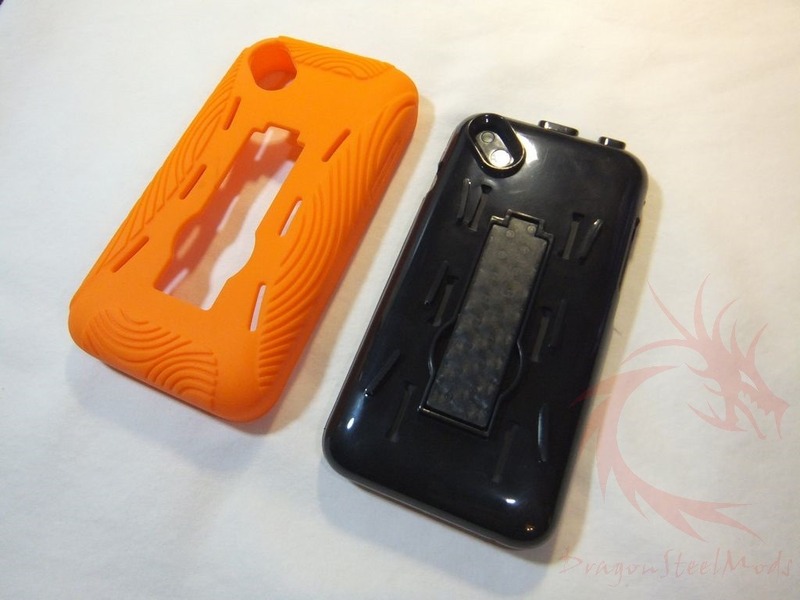 Personalize the look of your phone with this Hybrid Heavy Duty Dual case. 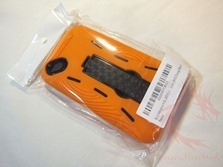 Includes a combination of hard snap on case with a soft silicone skin to maximize your phone protection. Watch video handsfree with built-in kickstand that works both horizontally and vertically. 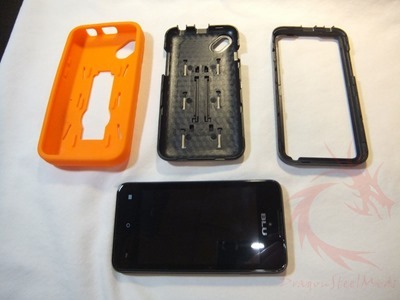 High quality thermo poly urethane case. Precise cut-outs allow accesses to all controls and buttons. 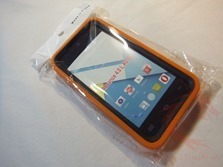 The comes in just a plastic bag with a label on it which is just fine as it is a rugged case after all. 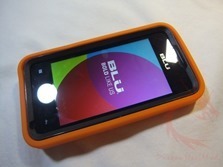 I have the Blu Advance 4.0 L cellphone, this case will only fit this version of the phone. The phone is small and thin and it does seem a bit fragile, even though it’s inexpensive it does deserve to be protected. You can get the case in numerous colors but I chose the orange color for visibility purposes and it just looks more rugged I think. The case actually comes in three parts, a thick rubber outer covering and then a solid two piece plastic inner case basically. The inner case has a thick back section and then just a frame on the top, it snaps together and holds the phone inside. 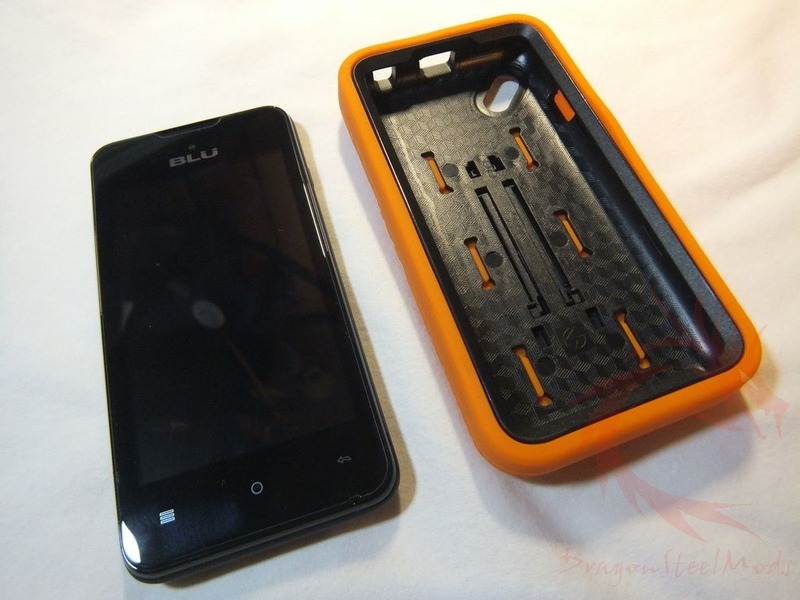 The plastic case does have a kickstand built into it and then the rubber part has an opening for the kickstand along with an opening for the camera and flash. Once you get the plastic parts of the case together you can then just fit the rubber outer shell over it which just involves stretching and pulling it over the inner case, simple to do. The case is less than $10 shipped and I was surprised by how decent it actually seems, it’s dual layer and it’s nicely made really. The phone is only .4 inches thick but the case more than doubles that thickness which I guess is a good thing as it adds a lot of protection but if you want a thin phone you don’t have one anymore. All in all the case isn’t bad for the price at all, it offers decent protection for the Blu Advance 4.0 L phone. DragonSteelMods gives the New Frontier Wireless Rugged Case a 4.5 out of 5 score. Disclosure: I purchased this product for my personal use and thought a review would benefit other consumers in making an informed purchasing decision.